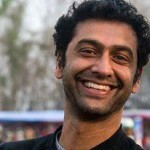 A former chief technology officer for a division within eBay Enterprise, Sameer initially joined the Empower Nepali Girls Board of Directors, and most recently took on the role of Chairman of the Board, and President of the organization to help continue to educate and empower women in Nepal. Sameer is passionate about Empower Nepali Girls because of the intersection of his personal beliefs with ENG’s mission: harnessing the power of education in altering people’s lives, establishing equality and personal choice through women’s empowerment, and giving back to communities in developing countries. Director of Development (West Coast). 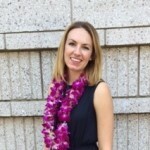 She works as a consultant with executives and leaders in the public and private sector, specializing in individual coaching and organizational development. Maryellen is Secretary on the Board of Directors. She has traveled with teams to Nepal several times mentoring our girls and has been a huge help growing individual involvement in the foundation. Dr. Patrice Moulton has been a volunteer with ENG for three years. She and her family have served as ENG team members traveling to Nepal over Christmas holidays conducting school visits, giving lectures, home visits, and mentoring our scholarship girls. She also traveled to assist our children following the devastating earthquakes in April. Patrice is passionate about the children and the foundation. She is currently serving as volunteer coordinator for ENG Safe Learning Spaces earthquake recovery project. She is coordinating the adoption and dedication of 19 safe learning spaces in schools across Nepal. Sara Safari is an author, speaker, mountain climber, college professor and advocate for women empowerment. 3 years ago She decided to climb and summit Mt. Everest (29000ft) to bring funds and awareness for the girls who become victims of human trafficking or are forced into early marriage. Last year, during the devastating 7.8 earthquake that hit Nepal, she survived the avalanches on Mt. Everest and came back down to help the victims and families, 10,000 of whom lost their lives and 100,000 kids lost their homes. She received the award for The Global Citizen from United Nations Association in 2015. 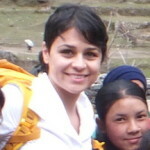 She is a board member and director of development in Empower Nepali Girls. She recently published her book “Follow My Footsteps” and dedicated it to the girls. Kripa Upadhyay is a first generation immigrant from Nepal. 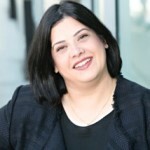 She came to the U.S. in 1998, and is currently the founder and Managing Attorney of Orbit Law, PLLC, a Seattle based law firm that specializes in all aspects of U.S. Immigration and Nationality Law. 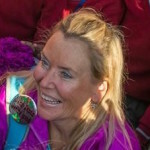 While in Nepal, she was a volunteer with Women’s Inspiration Community (WiCom) a Community based organization that ran programs at the three prisons in Kathmandu. Kripa worked with children of inmates who were housed within the prison and helped organize educational events and outings for the children. Since immigrating to the U.S, she has continued to be actively involved with the local Nepali community in Seattle, and continues to devote her time and energy to organizations that focus on advocating and providing services to women and children in Nepal. Erica started her college education at Cal Poly Pomona. After graduating she decided to pursue a Masters degree in Counseling at Cal State Fullerton. There she met professor Jeffrey Kottler and learned about ENG. At first she hardly considered going on the trip to Nepal, but was convinced by the other volunteers. With less than a month before the plane departed, she signed up. Education has a played a large part in Erica’s life and is a cause that she is passionate about. Being able to fundraise to allow girls to go to school was a cause that really spoke to her. Erica also saw an opportunity for ENG to have more of an online presence. She launched the ENG twitter site and helped to organize a quarterly e-newsletter. This commitment keeps her in touch with many of the girls and volunteers in Nepal and helps ENG to grow and reach more people.